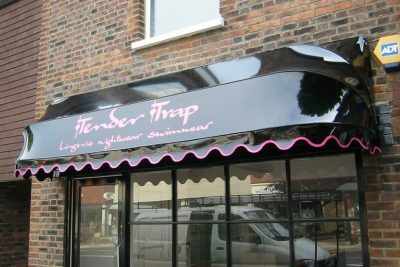 Would you like to enhance the visual appearance of your customer facing areas? Are you concerned about the working environment for your staff? Do you need to create more private office spaces? 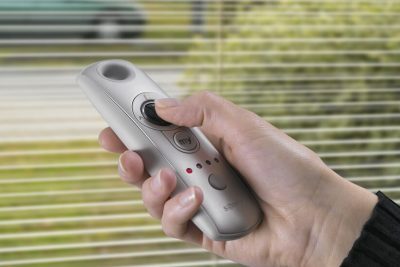 With correctly specified and professionally installed commercial blinds, you can easily control the amount of light and heat, provide varying levels of privacy and create an attractive environment. 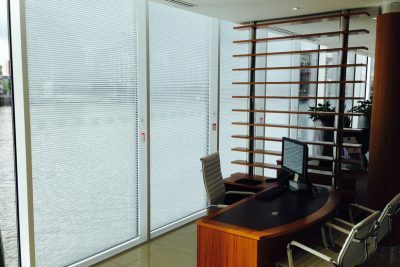 Aquarius Blinds is a leading South London based manufacturer and supplier of commercial blinds with over 30 years’ experience in the sun, blind and window shading industry. 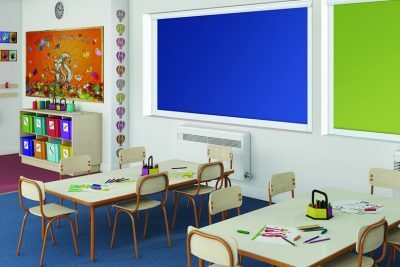 From offices and shops to schools and universities, hotels and restaurants, care homes and hospitals, public buildings and local authorities, we will expertly upgrade or replace your window dressings with a huge range of commercial blinds to choose from. At Aquarius Blinds, we offer a comprehensive one-stop shop service for surveying, manufacturing and installing commercial blinds for all situations. 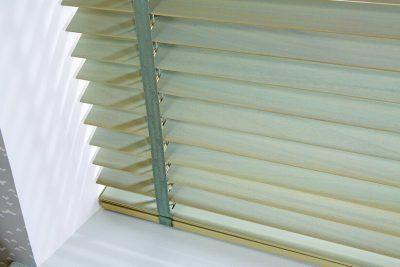 Whether you select Vertical Blinds, Roller Blinds or Venetian Blinds, our commercial blinds are produced for longevity by a long established family run business. 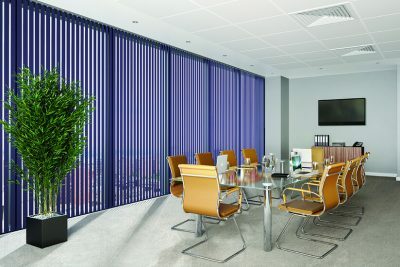 Choosing, specifying and ordering commercial blinds from Aquarius Blinds couldn’t be simpler. Contact us on 0800 953 0199 today to discuss your requirements with our friendly and knowledgeable sales team or to arrange for a site visit and quotation. 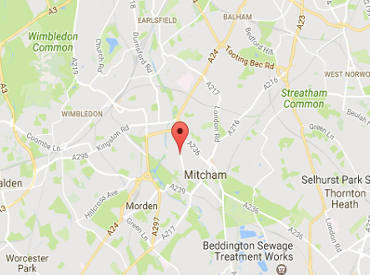 You are also welcome to visit our large showroom in Mitcham, Surrey where a huge range of window blinds and sun shades in a vast choice of fabric options is on display for you to touch, feel and try before you buy. At Aquarius Blinds, we offer a fast turnaround for your order of commercial blinds, using our project planned manufacturing capabilities to meet our customers’ needs. Depending on your specific order, fast lead times and delivery times of less than a week can be achieved. From our showroom and UK manufacturing plant on the South London/Surrey border, we are able to directly control quality, delivery and pricing, delivering a ‘no fuss, on time, on budget’ service to our customers. Thanks to consistent investment into our manufacturing equipment, Aquarius Blinds are continuing to perform at the forefront of technology. This allows us to produce large volumes of commercial blinds to high specifications, while keeping a tight rein on product quality. For our customers’ peace of mind, all hardware components come with a 5-year guarantee. 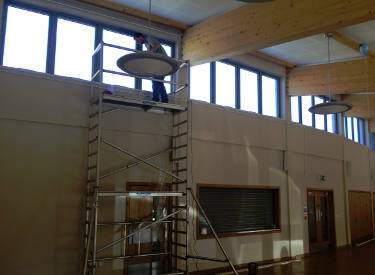 All surveying and installation is carried out by our own in-house fitters. 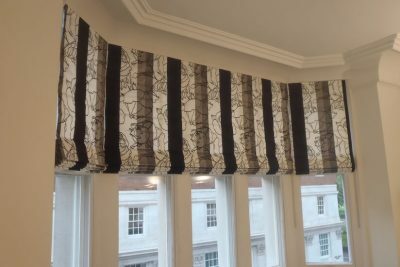 As a matter of policy, we do not employ subcontractors for commercial blind installations, believing firmly that our own expert fitting team has the greatest knowhow and passion to deliver the best possible results for our customers. Aquarius Blinds invests heavily into training our team of window blind fitters, both in terms of technical knowledge and safety certifications including IPAF, PASMA and CSCS. Our professional credentials include membership of the British Blind and Shutter Association (BBSA) and we are fully CHAS (Contractors Health & Safety Assessment Scheme) accredited. 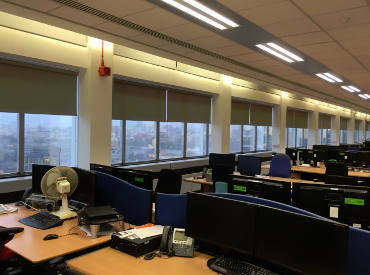 VINCI Facilities, acting on behalf of British Telecom at Colombo House, wanted to replace the existing window blinds with a modern, clean looking, easily operated and hardworking system for lower and higher level windows in a 24-hour operational office environment. Britannia International Movers were looking for two open plan office floors and additional offices, within a 10 day time frame. They choose our wide-bodied heavy duty Vertical Blind system to provide the required vision, light control, solar protection and security. DLT Media needed a solution for 32 awkward inward opening tilt-and-turn windows to provide solar block, visibility, light reduction and security in the office. The client was very impressed with our neat and simple system – perfect for this situation. 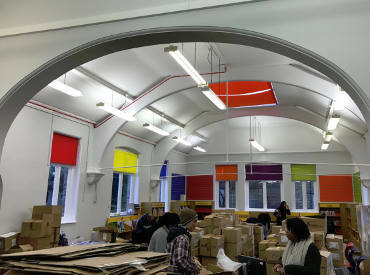 As part of Southwark Council’s pride development plans to refurbish Nunhead Library, new roller blinds were requested for the windows and roof lights in the children’s section. 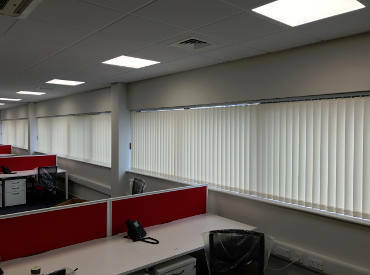 Our expert installation team fitted the new blinds within the specified timeframe of only 6 days. St Joseph’s Church in Redhill needed a solution to address problems with direct sunlight through large-scale floor-to-ceiling windows in a recently extended community function room. We installed our heavy duty roller blind system that can be produced up to 5 metres wide. 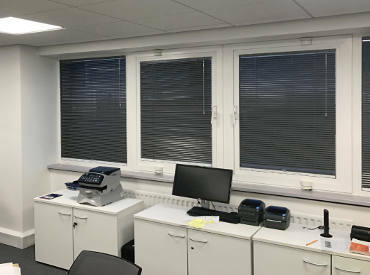 For more information about any of our commercial blinds or to book a site visit and quotation, contact the sales team at Aquarius Blinds today on 0800 9530 199 or request a call back. Alternatively, you can use the Contact Form to email us your enquiry and we will be in touch. AQ just fitted some blinds at my home and they look amazing as they are made to fit perfectly. Keeps the sun out but still lets enough light through to brighten the room. red was right after all, many thanks! 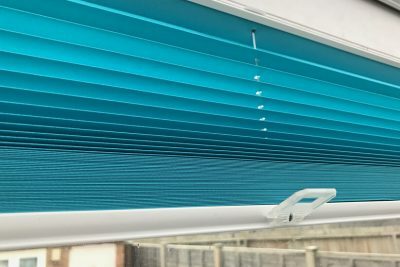 Kerry W.
Hi Andrew just giving you a bit of feedback on your blinds, Mitch put these up yesterday no problems at all in fact I am well impressed with them, perfectly finishes off the bedroom really well will definitely buy from you again in the future once I finish decorating.